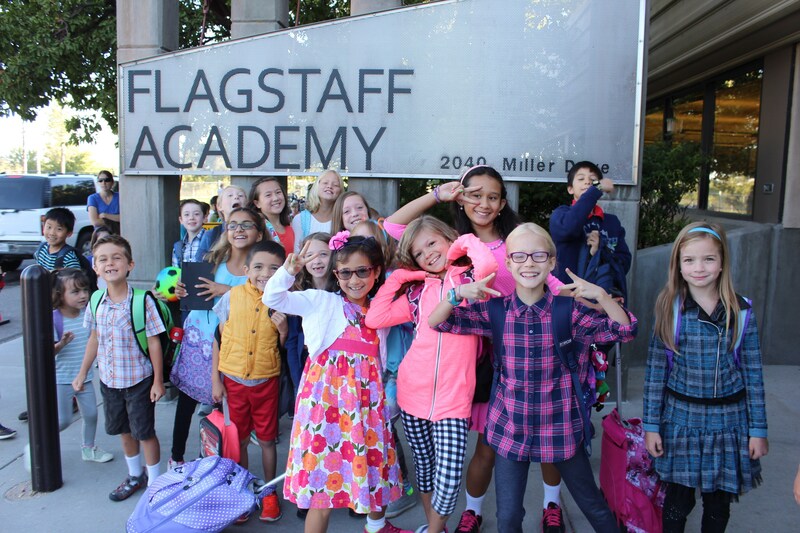 Flagstaff Academy is Academically, Artistically, Physically, Environmentally, and Socially Active! Throughout our hallways, in our science labs, music rooms, art studios, Greenhouse classroom, one of our outdoor educational sites, or in the community, our mission develops students who are equipped to be well-rounded, ethical leaders in the world community with a foundation based on science and technology. Learn more about all the ways we stay active! Flagstaff Academy is a rigorously academic school. 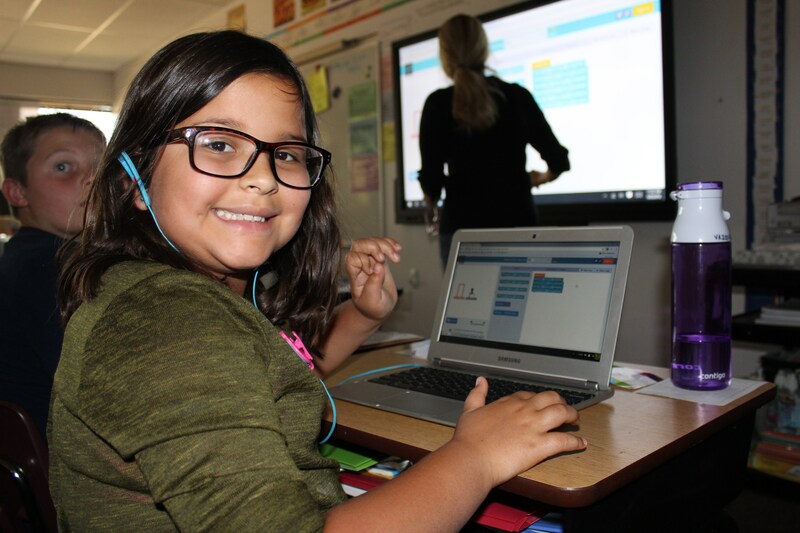 Our core-knowledge based curriculum, inquiry-based science, and integration of technology in our classrooms provides a solid foundation for academic exploration. 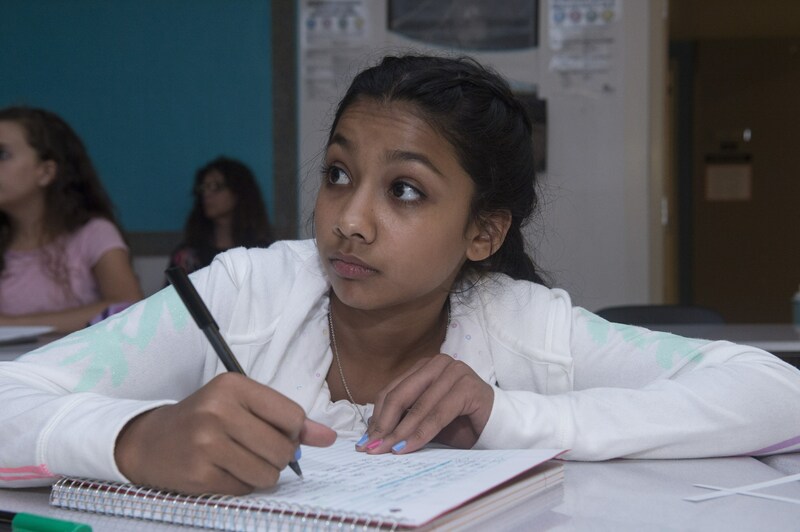 Our classrooms are warm, welcoming environments that encourage students to explore subjects, express their ideas, and create a life-long love of learning. 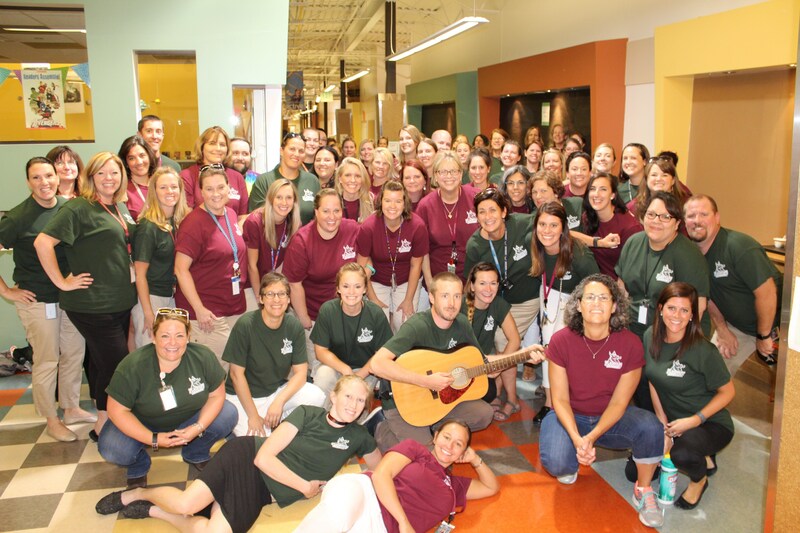 What does Academically Active look like? Our students are exposed to art and music from the day they enter our school, and support for the arts at Flagstaff Academy, supports our Core Knowledge Sequence. Our K-4 art program allows students to explore art throughout history; our Middle School offers "Essentials" (electives) in three levels of band, including Jazz Band, as well as Middle School Choir, as well as foundations of drawing, painting, digital art and photography. Our grant with Xilinx has provided us with Think360 Arts, allowing professional artists and performers to provide educational performances and workshops to our students. What does Artistically Active look like? From our movement breaks, to the Middle School mid-morning walks, our commitment to physical activity results in less stress, anxiety, and increased cognitive function. Our pre-k students practice yoga and our entire school particpates in year-round Harvest Days, which brings fresh local produce in from local farms. What does Physically Active look like? 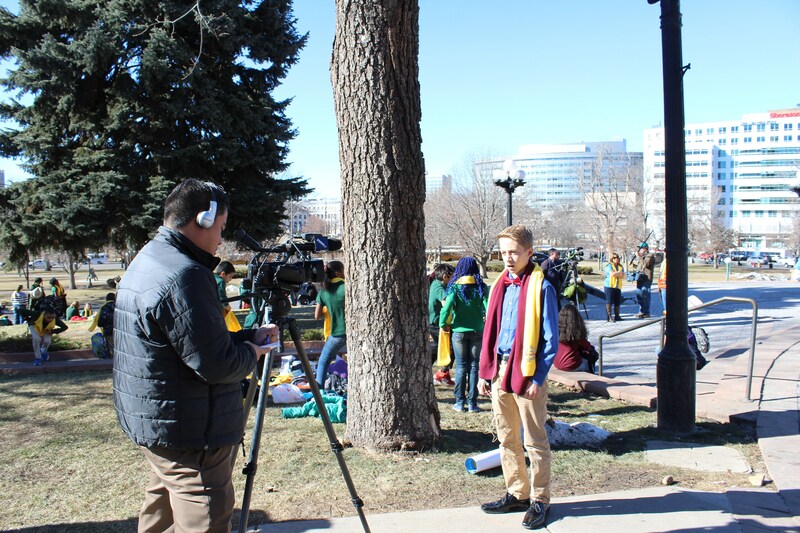 Our students are the future stewards of our planet. Our students learn the impact they have on our environment, and the importance of an environmental consciousness. 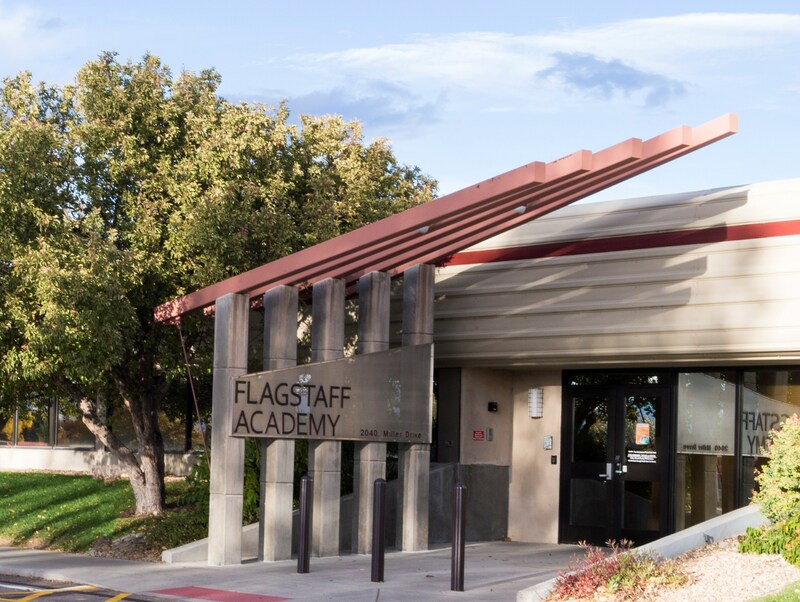 Flagstaff Academy has a geodesic dome greenhouse classroom and garden where plants, a koi fish pond, and an aquaponics system creates a fully independent outdoor classroom. Our 5th Grade and Middle School Outdoor Education trips, where students head into the mountains and learn about their impact on the environment, how to work as a team, and the difference being in nature can make. What does Environmentally Active look like? Community is important to students, and we create opportunities for students to involve themselves in both the school community and greater community. Student Council, National Junior Honor Society and other activities offer numerous opportunities for students to be socially active. Our students partner with local charitable organizations such as the OUR Center, or have volunteered their time for flood clean-up after the 2013 flood, and continuously find ways to make a difference in the community where they live and play. What does Socially Active look like? Vibrant Dragon Volunteer program for parents, community members, and alumni!